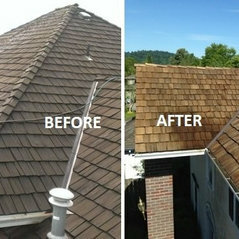 Moss Busters® is a local roof and gutter cleaning company (Superior Clean, LLC). 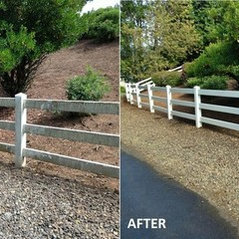 We are located in Clackamas, Oregon, but service the entire Portland Metro area. Roof moss control and gutter cleaning is our specialty, but we also wash house exteriors and pressure clean concrete and hardscapes. 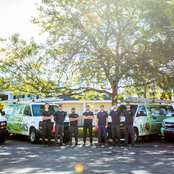 Although we are a small company and have only a few technicians, we believe they are some of the best in our industry– they are throughly trained and take great pride in their work. Our goal is to provide top quality workmanship, exceptional customer care, and for our customers to boast about our services. 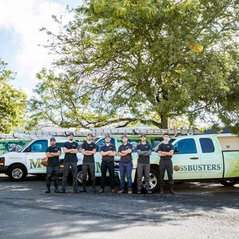 With Moss Busters®, your satisfaction is always guaranteed.